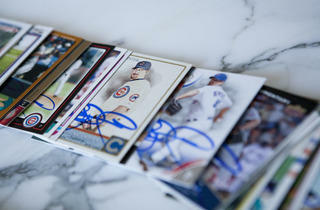 Photo: Michael JareckiMakowiec received 41 singed Ryan Dempster baseball cards from the pitcher himself in early November. 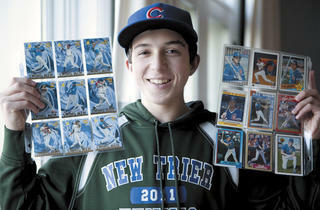 When John Makowiec was five, his mom took him to Winnetka’s Bleachers Sports, a memorabilia shop. That was when he discovered sports cards, and he was hooked. 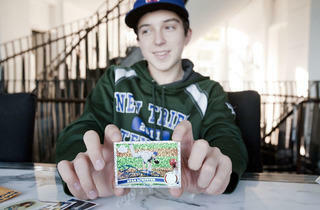 “I love it when you get to hold your favorite player in the palm of your hand,” says Makowiec, now 15, about his all-consuming hobby. 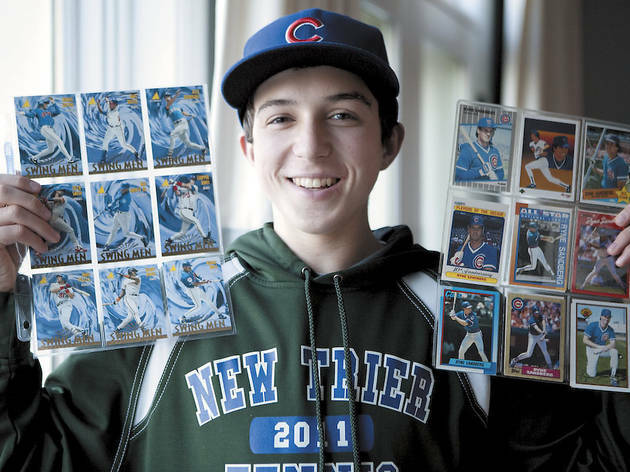 Last year, when Makowiec was a freshman at New Trier Township High School, he joined a service club that organizes volunteering events. 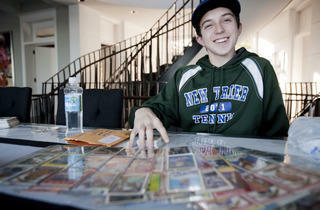 Inspired, the teen decided to start his own charity organization—and Cards2Kids was born. “I wanted other people to have that joy” of collecting, he says. 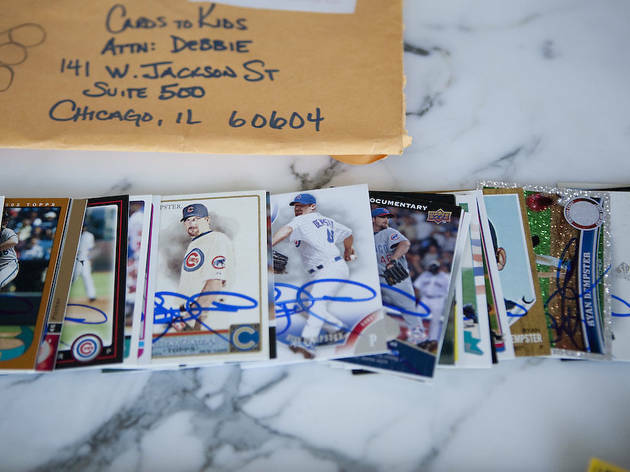 The org accepts donations of new and used sports cards—football, baseball, hockey—and repackages them in sets, which are donated to kids at the Boys & Girls Clubs of Chicago and Children’s Memorial Hospital. In its first year, Cards2Kids collected more than 300,000 cards to distribute to kids in need. Keith McDonough, owner of Bleachers Sports, applauds Makowiec’s drive. 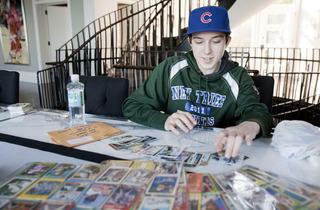 “Winnetka is a pretty affluent area, and John is setting an example [for kids] to go out and do something,” he says. Beyond dreaming up the idea, there’s a good deal of effort involved, such as processing donations and soliciting donors to help fund the website. Makowiec manages the workload, he says, because it’s “a lot more fun than school.” With help from siblings and friends, he sorts through the donations that get dropped off at Bleachers or sent through the mail. Then they repack them in bundles of ten, “so that kids get the fun of opening packs.” Each bundle contains six cards bearing pictures of—well, what Makowiec calls “normal” players; the pack gets completed with four standout players, two new and two old. Currently on deck are Makowiec’s plans for expansion. 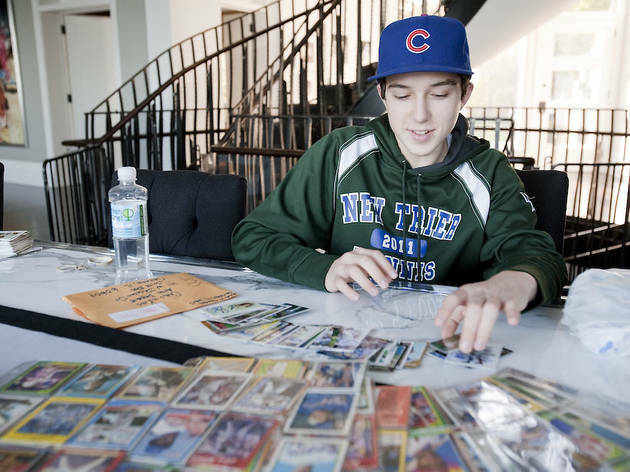 Partnering with Upper Deck, a sports-collectibles company, Cards2Kids ran a collection drive in early November at an expo in Toronto. (That haul of NHL cards will go to a Canadian children’s hospital.) He’d like to take his effort to other cities as well, and the Cleveland Cavaliers have expressed interest. 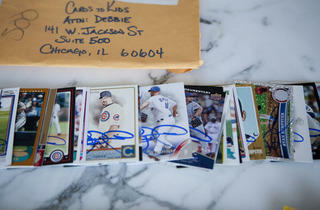 To donate, drop cards at Bleachers (557 Chestnut St, Winnetka; 847-441-7767) or visit cards2kids.org for a mailing address.